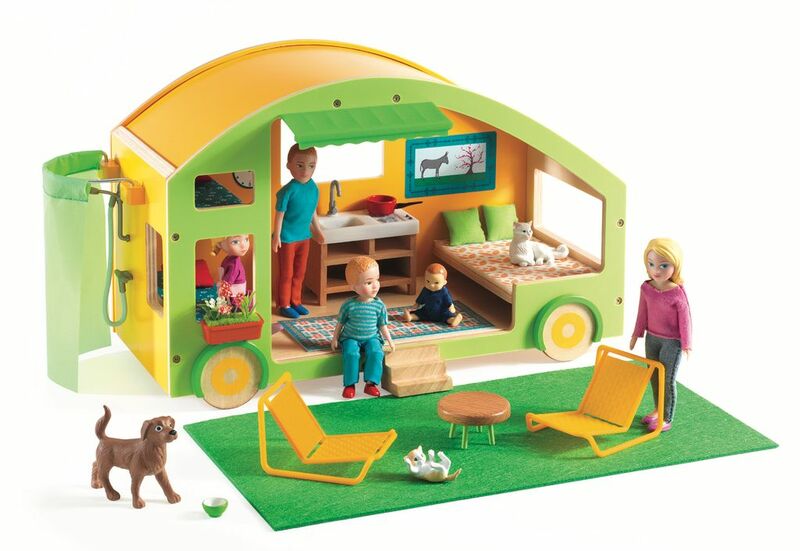 Doll's House - Caravan House. It’s time for a family holiday! 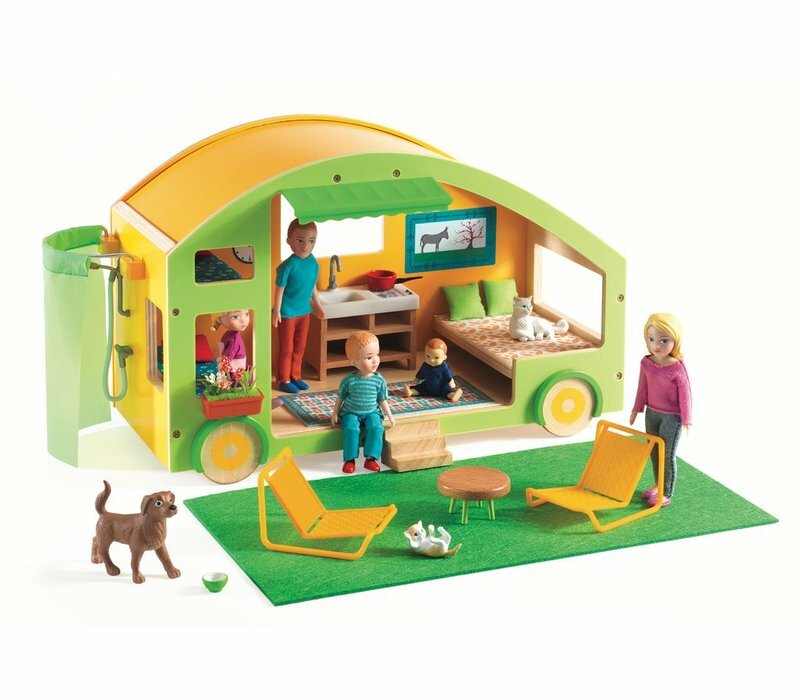 This fun caravan is complete with two beds, a kitchen area, outdoor shower, window flower box, outdoor grass area, two deck chairs and a table. Caravan comes assembled. Dolls and animals are sold seperately. Suitable for ages 3+ years. 19 x 13 x 32cm.